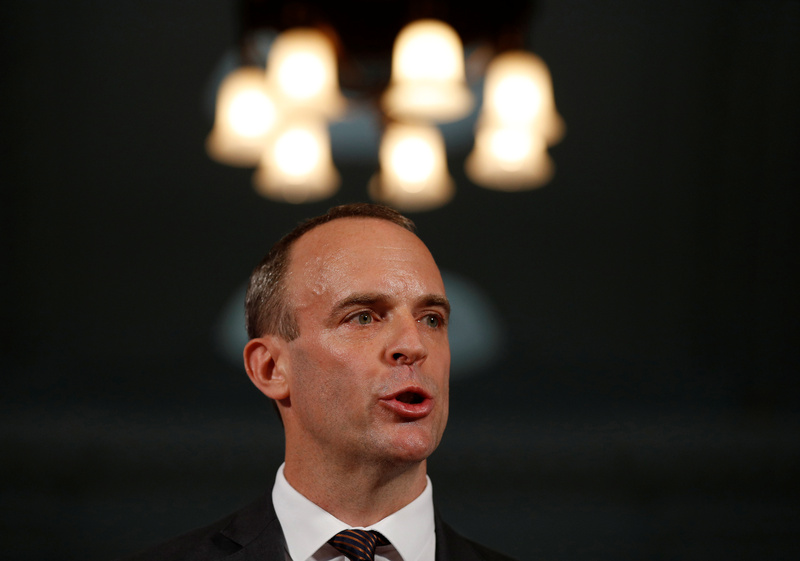 Britain's Secretary of State for Exiting the European Union, Dominic Raab delivers his speech outlining the government's plans for a no-deal Brexit in London, Britain. Aug 23, 2018. UK companies trading with the European Union would face more red tape and possible delays at the border if the government were to fail to negotiate an exit deal before Britain leaves the bloc, according to British government papers released on Aug. 23. Dominic Raab, Britain’s Brexit minister, said he was confident the two sides would reach a deal, but set out in a series of notes what could change without an accord. Britain, which is due to leave the EU on March 29, has yet to reach an agreement with the trading bloc about the terms of its departure.